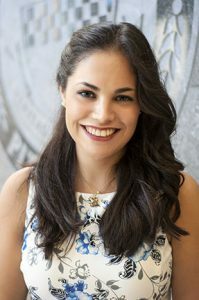 Assistant Professor Inmaculada Hernandez has received a career development award from the National Heart, Lung and Blood Institute. The objective of this research project is to improve clinical outcomes of a trial fibrillation patients through optimal oral anticoagulation use. Specifically, this research project will: 1) Describe how patient characteristics and region affect oral anticoagulation use; 2) Quantify to what extent the geographic variation in the incidence of stroke observed across the US is attributable to the geographic variation in oral anticoagulation initiation and adherence; and 3) Evaluate the effect of fee for service vs. managed care insurance enrollment and of shared-savings payments to providers on the use and adherence to oral anticoagulation therapy. The outstanding multi-disciplinary mentoring team that brings extensive expertise in pharmaceutical outcomes research and policy, quantitative methods, health insurance and policy, and clinical cardiology include primary mentor Dr. Walid Gellad, Associate Professor and Associate Division Chief for Research in the Division of General Internal Medicine at Pitt School of Medicine and the director of the Center for Pharmaceutical Policy and Prescribing; Dr. Maria Brook, Professor of Epidemiology and Biostatistics and Vice-Chair of Education in the Department of Epidemiology at Pitt Graduate School of Public Health; Dr. Samir Saba Associate Professor at Pitt School of Medicine, Division of Cardiology, and the Chief of Cardiac Electrophysiology at UPMC Heart and Vascular Institute; Dr. William Shrank, Chief Medical Officer of UPMC Health Plan, also leads UPMC Center for High Value Care and PittPharmacy Associate Professor Thomas D. Nolin, PharmD, PhD, Department of Pharmacy & Therapeutics, and Department of Medicine Renal-Electrolyte Division. All members will focus on pragmatic research, translation and sustainability of research results, and broad dissemination of findings.